Finding a good bed to sleep in is one of those things that are really important to peoples’ well being but are summarily looked away from by virtually everyone. You cannot have a decent night’s sleep if your bed is lumpy, doesn’t support your body properly or otherwise causes you discomfort. So it is important that we discuss about proper beds, and especially for side sleepers, who get really bad deals while buying beds for themselves. The common paradigm employed when designing mattresses is that people sleep on their backs. Even as the position is employed by only 15% people (though the number is corroborated by sparse research), it attains undue importance and dictates how the world sleeps. On the contrary, side sleepers, especially people who sleep in the foetal position (41%) have to make do with beds and mattresses that are not suitable for them in terms of both health and comfort. Different sleeping positions need different sorts of beds and mattresses. With each shift in position, your weight shifts on the bed, and that can give you a different pressure at each point on your body. We’ve talked in earlier posts about how different positions people are habituated to sleeping in can affect their spinal health. Managing those risks has a lot to do with how your mattresses and beds take your weight. Chronic lower back pain if caused by an inappropriate sleeping position has a better chance at being managed if you keep your body properly supported while asleep. This involves using a proper mattress, getting pillows of a healthy thickness and positioning them appropriately and also managing your sleep routine through active effort. If you suffer from Chronic back pain and also happen to prefer sleeping on your side, you might just find somewhere to begin the journey to a better, healthier life here. There are few absolutes in the beds and mattresses industry, since so much decision and processing is taken care of based on the subjective feelings of comfort. But there are still effective criteria easy to judge mattresses upon to get better performance and usability. Let’s see what those are. The most common beds commercially available are made out of metal or wood. Both have their own benefits. For example, Aluminum beds are sturdy and light to lift. Many might even be foldable. On the other hand, wood is easy to transport and you might be able to get yours for cheaper if you get it without assembly. There are other materials you might find as well, like beds with plastic frames covering the base structure to give a fancy look (really popular with kids), or beds meant to be completely covered by your mattress or bed linen. You can also go ahead and customise the bed with a custom back rest, or hang mosquito nets from an embroidery hoop to make the bedroom interesting. The only thing to watch out for is whether or not the bed material is sturdy. It shouldn’t suspend the mattress to the open air too much underneath, like if you have a mesh of metal strips. Such an arrangement would cause even the strongest mattress to develop sags at unwelcome locations and that can ruin the amount of support your back receives. A lot of people swear by memory foam mattresses and tout their ability to magically cure your backaches. But contrary to what they explain, it is not because the memory foam is somehow endowed with consciousness and empathy, but because they often produce a pressure-dependent hug profile, which also happens to stay that way for a little longer than ordinary mattresses. 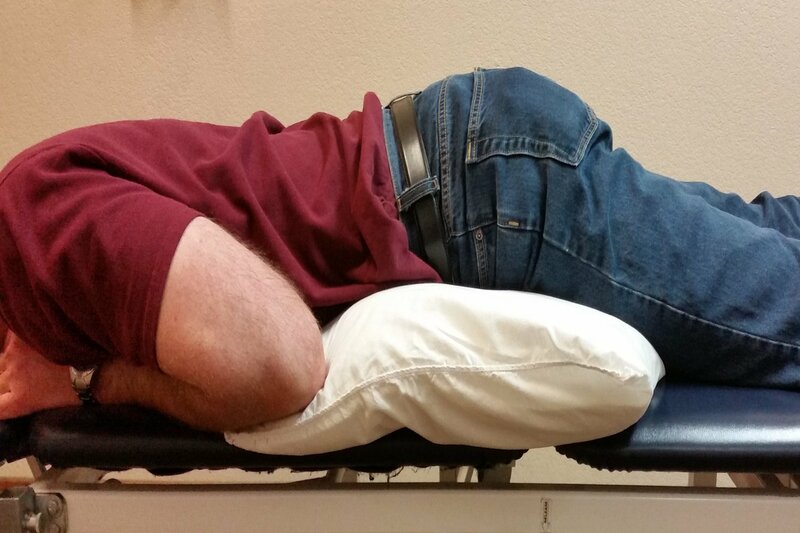 It helps a lot of people rest a lot more comfortably. But it is not necessary for your mattress to be made of memory foam to rest better as a side sleeper with chronic back pain. If you can find a mattress with proper weight distribution and it happens to be latex or an innerspring mattress, there is no need to reject it. You need not buy a new mattress if the pressure profile in your current mattress isn’t satisfactory either. There are toppers you can invest in instead, which come for a fraction of the cost but might just get your back properly supported when you sleep. It is obvious that curling up on a twin mattress will not leave you with a lot of scope to move around in your sleep. With a mattress this small, you can be sure the squeeze is going to be a lot more cupped and uncomfortable. The same continues with full size mattresses for most people, though it might suit some with a shorter height. A Queen Split mattress is really the bare minimum I recommend to people, even though they are side sleepers and think they don’t need the length. You can of course go as big as you want. If you have a room and a bed frame that’s big enough, big mattresses pose little danger. A mattress is a lot like food; the healthiest ones are often the least fun to consume. But thankfully, mattresses are really open to a lot of modifications that can make your periods of rest periods you enjoy. Most mattresses are already designed with a prime focus on comfort one feels while resting on a mattress. But in case that doesn’t help, there’s a few tips you can use to make your mattress more attractive to sleep on. A lot of people choose the wrong bed linen. Everybody has their preferences. However, nothing gets the job done as nicely as cotton. Cotton is light on the skin, doesn’t charge up with electricity with your movements, and it also helps your skin cool much better. The benefit with fluffy sheets is that they leave scope for a lot more air to convey body heat away, which keeps you much more comfortable. Worried about dirt? Getting bed covers can do wonders. The same standards as bed sheets can be used for blankets as well. Pillows translate to comfort in our minds. And it is true. Getting more pillows can make the bed seem more like a cloud in the sky, and it is also really handy to stuff them at relevant places to get better comfort and support for the body. However, watch out for the type of pillows you use, and whether or not they are fluffed enough. Pillows should also be the proper thickness when resting your head on them so as to keep your neck in proper alignment with respect to the spine. Also, make sure the pillows don’t get too heavy, or you’ll have trouble dragging them close to you in your sleep. When all else fails, you can make your bed a lot more comfortable by making the ambiance more in tune with the vibe of comfort. Interlacing Christmas lights around the bed posts, throwing in a few indoor plants, putting a coat of paint of a soothing color on the walls, it can all contribute to making your bed more comfortable. You can even make an aroma atomizer that disperses a diluted solution of your favorite essential oil and use it to make your bed more pleasant. Your body will certainly thank you for tricking it into comfort on a mattress that is good for your back pain as a side sleeper. We have had a lot of good mattresses listed on our site, with several of them helpful in chronic back pain. Your doctor should be able to help you out further in the matter. If you have any more queries about finding the best bed for side sleepers with chronic back pain, be sure to comment them down below so we can address them in future posts. How to improve posture with your sleeping positions?